and they have been found to induce a meditative state, increase creativity and evoke a sense of relaxation in individuals. Binaural beats work in the following way: you put on the head phone and play the music…in one ear, say the music playing has a frequency of 300 HZ and in another ear it is of 310 Hz, then the difference between the two frequencies as perceived by the brain, that is 10 Hz, would be the frequency of the binaural beats. And you would have reached a state of meditation when your brain reaches that frequency – the frequency of the binaural beats. On measuring the ‘electrical’ activity of the brain with the help of EEG (electroencephalography), it has been revealed that during our different activities, we or our brain emits different brainwaves or frequencies. 40 hertz or Gamma Waves: when we are mentally active, solving problems or having intense emotions like anger or joy. 13 – 40 hertz or Beta Waves: when we are actively concentrating or leading a generally active lifestyle. 7 – 13 hertz or Alpha Waves: when we are in a relaxed state or a pre- meditative state and we are not too stressed. 4 – 7 hertz or Theta Waves : when you are in a state of deep meditation, deep sleep or when you are dreaming. 0 – 3 hertz or Delta Waves: a state of deep dreamless sleep. When you first use binaural beats for the purpose of self hypnosis, your goal will be to achieve the ‘alpha’ state. Only after you have achieved the ‘alpha’ state in meditation and practised it quite a few times, should you try to reach the ‘theta’ state. You must first realize that meditation can naturally lower your brainwave patterns. All throughout the day, during all your activities your brain functions at a high level and meditation lowers it to a restful level. Download or purchase the ‘binaural beats’ with which you can practice self hypnosis. Here’s a YouTube link for starters. Just remember to plug in your head set. The sound waves will otherwise not give you the desired effect. Sit in a quiet room in a comfortable posture, dim the lights and make sure you will not be disturbed with any external noise. Also, try to eliminate all the negative thoughts. Yes, they will come rushing in. However, the trick is to be aware of these negative thoughts…don’t try to consciously push them away…they will themselves drift away as you go deep into the meditative state. Your objective is relaxation…allow yourself to drift to a lower brainwave so that you can reach the meditative state. It will not be easy…keep trying! That brings us to the next point. Practise it REGULARLY. Once your mind and body is accustomed to these music frequencies, achieving a relaxing meditative state will be easier than ever. 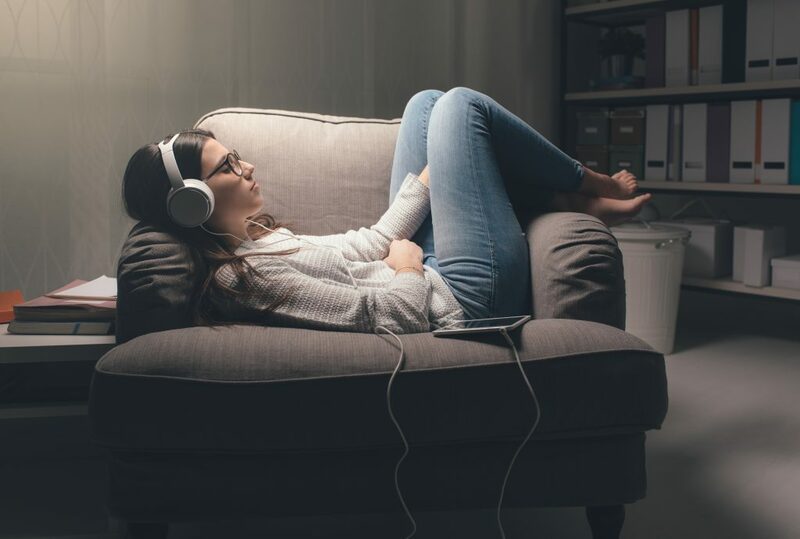 Binaural Beats are the latest aid to reach a meditative state…and they have scientific explanations backing it too. So, are you ready to try it for self-hypnosis? Previous Post Debunking Self-Hypnosis Myths – Before your Inner Negative Programming ‘Debunks’ You! Next Post 6 Steps To Manage High Blood Pressure With Self Hypnosis For A Slow But Steady Recovery!